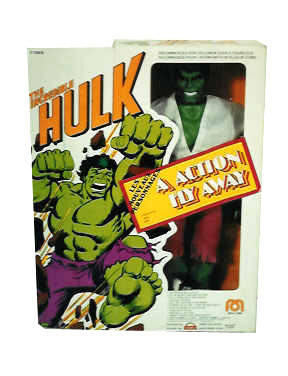 Below is a boxed Canadian (Grand Toys) Example of the 12″ Hulk, Mego went all out with it’s Deluxe Hulk, dig that labcoat! 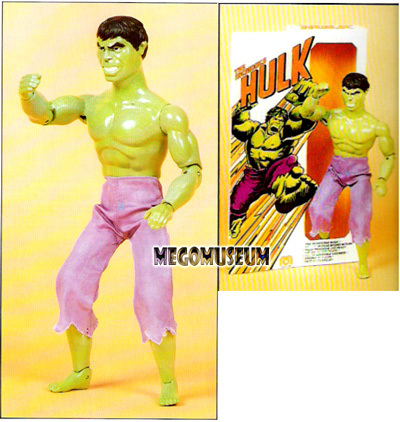 Check the Library for pics of the original prototype. 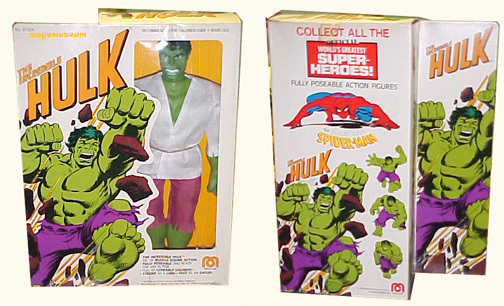 This prototype Mego 12″ Hulk never made it out of the 1978 Catalog, take a look at the package and the Hulk used on the paste up box, it is subtly different to the one that made it to production.